How to solve android studio terminal error ‘adb’ is not recognized as an internal or external command, operable program or batch file. In android studio, the terminal command is useful, you can use it to run commands. but sometimes, you get the error message when you try to run adb commands on it, usually the error is something like this ‘adb’ is not recognized as an internal or external command, operable program or batch file. 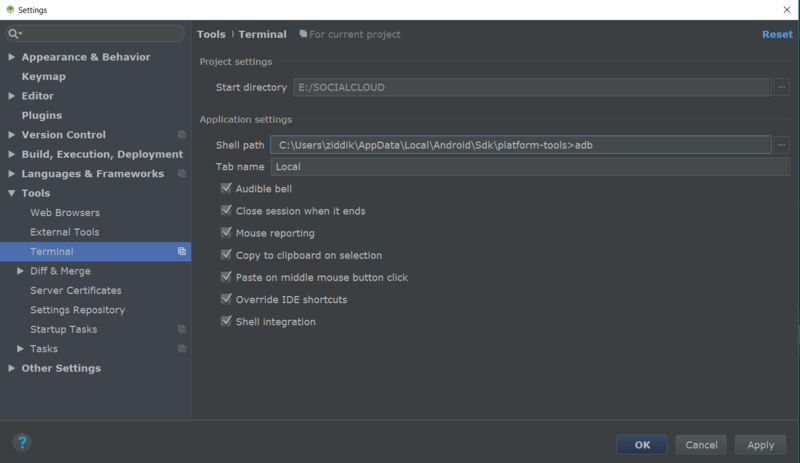 To fix the error, we need set the correct path to adb folder, follow the instructions below to set correct path, you need to know where the adb is located in the windows, usually it comes installed along with the platform tools when you download android sdks from the android studio sdk manager. However it only solves a half of my predicament. I am happy it worked, T!